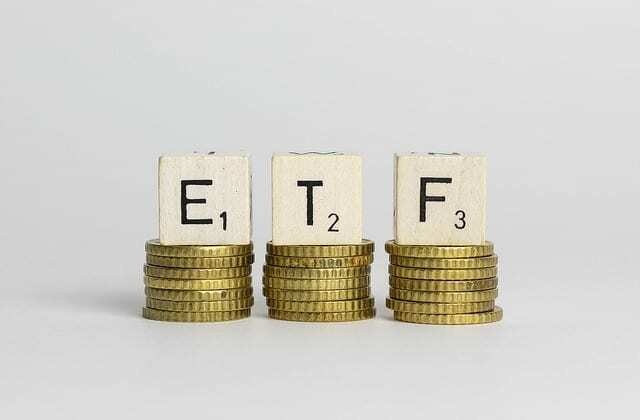 Investing in Mutual Funds and ETFs(Exchange Traded Fund) involve investment in a mix of different assets by pooling the funds of investors with common financial goals. Purchasing an ETF or Mutual Funds provides the investor an opportunity to gain exposure to a wide range of asset classes with a single purchase. This helps in the diversification of the portfolio and help to reduce the risk. In this article, we will look at an ETF vs Mutual Funds to help you choose between the two. Before we compare the two, let’s look at the definitions of mutual funds and ETFs. Mutual Funds – Mutual Funds are investment trusts which collect funds from investors with similar financial goals. Further, a fund manager invests these funds based on the investment objective and the risks specified in the offer document. Mutual Fund unit holders get a share in the profits and income of the mutual fund scheme through dividends or increased NAV(Net Asset Value). Exchange Traded Funds (ETFs) – An ETF is an investment fund and is traded on the stock exchange. Usually, an ETF tracks a stock market index or a bond index. Being actively traded, the price of an ETF changes throughout the day. Typically, ETFs have lower expense ratios and higher liquidity than mutual fund units. Authorized Partners or APs are special investors who regulate the supply of ETFs through the creation and redemption process. Both Mutual Funds and Exchange Traded Funds include several stocks, bonds, etc. in one scheme. This adds the element of diversification to the investor’s portfolio. In simple words, if one stock in the funds performs below expectations, then there is always a chance that some other stock does well and makes up for the losses. They both offer a wide array of investment options. Each scheme is designed by keeping the requirements of different investors in mind. For example, you can invest in a mutual fund or ETF which invests in international assets or look for schemes with sector-specific asset allocation. Since a professional fund manager oversees the performance of both these funds, an investor saves his time and effort in monitoring his investments. Even in the case of index funds and ETFs (since most ETFs are index funds), the fund manager monitors the performance of the fund regularly to ensure that it closely tracks its target index. If you are confused between selecting ETF or Mutual Funds, then these pros and cons of investing in either of them can be of help. Transparency Usually, ETFs disclose their holdings daily making them highly transparent. Actively managed mutual fund schemes, typically, disclose their holdings once every three or six months. Expense Ratio An expense ratio of a fund is the percentage of the fund assets which are used for expenses like administration, management, advertising, etc. The expense ratio of an ETF is usually lower than that of a mutual fund scheme. Mutual fund schemes have a higher expense ratio due to the inclusion of various marketing and distribution costs. Initial investment An investor can even buy one unit of an ETF which makes the initial investment requirement negligible. While some mutual fund schemes have low initial investment requirements, most schemes require a specific minimum investment. Trading costs Since ETFs are traded like shares, investors are required to pay a commission to purchase or redeem them. While there are some ETFs which offer a commission-free trading option, they usually make up for it with higher expense ratios. Mutual fund schemes do not charge any commission for buying or selling units. There are some schemes which require the investors to pay entry or exit loads while buying or selling which works like a commission. However, there are several no-load schemes available which are ideal for investors who wish to transact frequently. Actively managed funds In an actively managed fund, the fund manager chooses how to allocate assets as opposed to an index fund where the assets are purchased to simply track the market index. Most ETFs are index funds – they track market indices. And index funds are passively managed funds. There are a few actively managed ETFs, but these tend to have higher prices. In comparison, there are far more actively managed mutual funds than actively managed ETFs. Remember, mutual funds and exchange-traded funds provide an investor with a great option to build a diversified portfolio of investments. However, before you choose one, ensure that you determine your financial goals, risk tolerance, and the time horizon for investment. These aspects can help you create an investment plan and strategy which will eventually guide you in choosing the right investment options. Research well and talk to an investment advisor if you think you need assistance. Both mutual funds and exchange-traded funds have their own advantages and disadvantages. Ensure that you choose one that synchronizes with your overall investment goals.